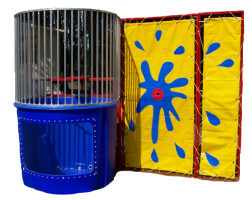 Cool off and rent a Dunk Tank for your next backyard, corporate, church, school, community, or fundraising event. Hit the target and send someone splashing! You will be sure to have a good and refreshing time with this Dunk Tank!